I hope you're having a good time. I love you. Los Angeles with its maze of intersecting freeways & imposing skyline. Photographer C. Craig Aurness. Missing front graphic, very little text, nothing interesting... 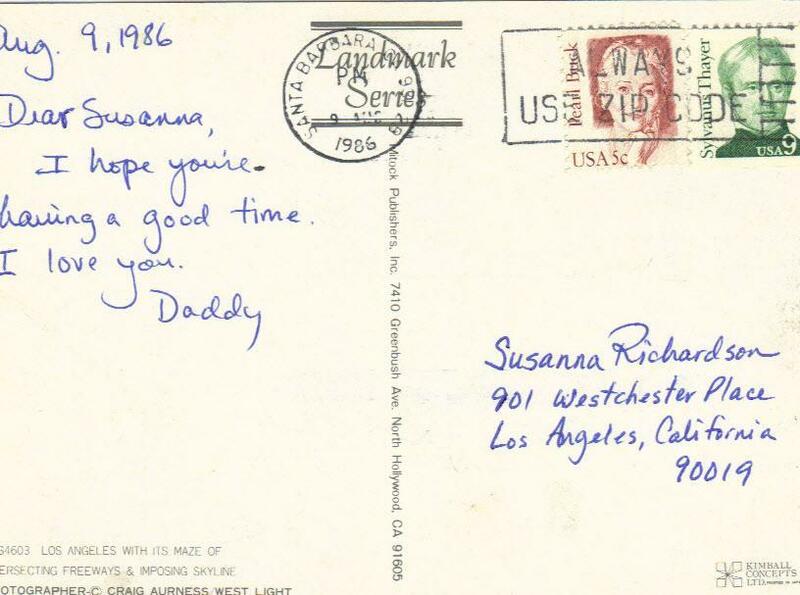 I transcribed this postcard into the colleection mainly to record the fact that Dad sent a postcard from Santa Barbara on this date.